Rachel has been working with young children in many different preschools since 1994. Rachel graduated from California State University, Northridge in 1996 with a BA in Child Development. After her first daughter was born in 2001, Waldorf education was introduced to her when she saw a brochure from the Waldorf School of Orange County. 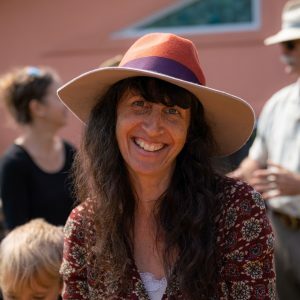 Rachel joined a Waldorf parent-child class in Long Beach, California and has been involved with Waldorf education ever since. In 2007, her family had an opportunity to move to Colorado and they have enjoyed making new friends and new traditions of their own. For a short time, Rachel had a Waldorf-inspired preschool at her home before she started working at Shining Mountain Waldorf School in Boulder. From Spring 2012 to June 2017, she worked as a morning assistant and an afternoon lead teacher. Rachel received her Early Childhood teaching certificate from Rudolf Steiner College in Sacramento in 2015. Rachel’s favorite things to do are hiking and being out in nature. She finds beauty with each season the year brings. She also loves yoga, baking, making fairy houses and spending time with her family and friends.